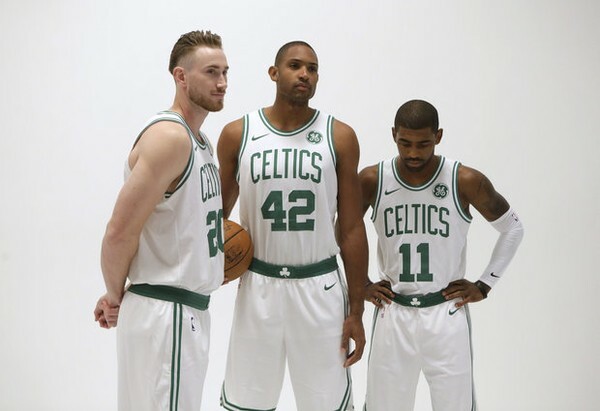 Most analysts had the Boston Celtics pegged for somewhere in the top-3 in Power Rankings this season, but that has not been the case - thus far. They dropped from 6th place last week to #7 this week. But they start a 3-game home stand tonight against the Chicago Bulls, and hopefully Boston will be able to recoup some lost ground. The Celtics still retain the top Defensive Rating in the League but are 27th in Offensive Rating. Their Net Rating puts them in 12th place. The Raptors have the top ranking, followed by the Blazers and Bucks. The Warriors dropped from first place to fourth with a key injury to Steph Curry. Draymond Green has also been dealing with an injury and is now facing a one-game suspension resulting from an altercation with teammate Kevin Durant. If we only counted possessions in the third and fourth quarters, the Celtics would have the league's seventh best offense. They've scored just 95 points per 100 possessions in the first half of games, but 112.8 in the second half, with Kyrie Irving (from 45 percent to 62 percent), Jaylen Brown (from 35 percent to 47 percent) and Marcus Morris (from 51 percent to 72 percent) all seeing huge jumps in effective field goal percentage after halftime. Eleven of their 13 games have been within five points in the last five minutes and, thanks to those comebacks, they're one of three teams (Denver and Portland are the others) that doesn't have a loss that wasn't within five in the last five. Tonight's opponent, the Chicago Bulls, are 26th in Power Rankings and hold a 4-10 record. This is a good opportunity for Boston to get on track. They need to put the pressure on the Bulls and hit their shots early in the game. They also need to put a 3-game winning streak together. Last season they had one streak of 16 wins. Think of joining out Celtics Race-to-the-Title contest by clicking on this link and take a shot at the highest 3-point shooting percentage by a Celtic in this game. Then click on this link and give us your thoughts on the next 3-game winning streak by Boston. This is a season-long contest.